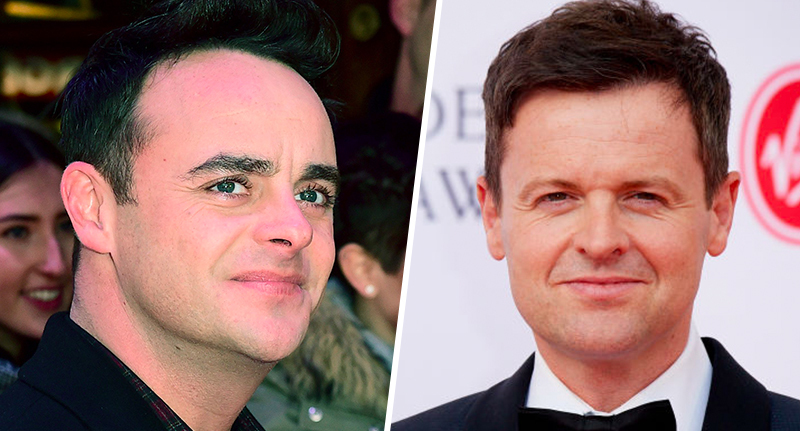 Ant McPartlin and Declan Donnelly are closer than ever, despite some tensions in recent years, according to one half of the beloved TV double act. One year on from the car crash spurred on by drink-driving, McPartlin has spoken candidly about how ‘angry’ Donnelly was after the incident. McPartlin was arrested for drink-driving on Sunday, March 18 last year (2018), and swiftly went into rehab to treat addiction to prescription drugs – but not before the lifelong friends and colleagues could share a few words, the 43-year-old recalled. You know, mentally I wasn’t in a good place. We’re friends first and foremost. And we’re friends from the age of 13. But of course there’s going to be tensions there. Because this is not just getting pissed and making a fool of yourself at the office Christmas party — this is drink-driving. McPartlin was ordered to pay £86,000 – believed to be Britain’s biggest ever drink-driving fine – after entering a guilty plea, and banned from the road for 20 months. The charge stated he had 75 microgrammes of alcohol in 100 millilitres of breath. The legal limit is 35 microgrammes. He’s angry, of course he’s angry. But it’s justified and I understood it. Underneath all of that is love and still is love. And that’s what we talked about more than anything. As Ant was embarking on his programme of recovery in rehab, Dec, also 43, decided the show must carry on with the agreement of his mate. It was absolutely the correct decision for Dec to carry on with Takeaway. If it had been the other way, I would have done the same. Dec was forced to present the last two episodes of Saturday Night Takeaway solo, and the pair made a ‘quick decision’ for Dec to continue alone on the Britain’s Got Talent live show too. He was joined by Holly Willoughby for I’m A Celebrity, Get Me Out Of Here. Ant said it was the ‘right decision’, as he ‘wasn’t ready’ to go back on TV. Welcome back, Ant and Dec!